There is a fundamental opportunity for happiness right within our reach, yet we usually miss it-ironically while we are caught up in attempts to escape pain and suffering. 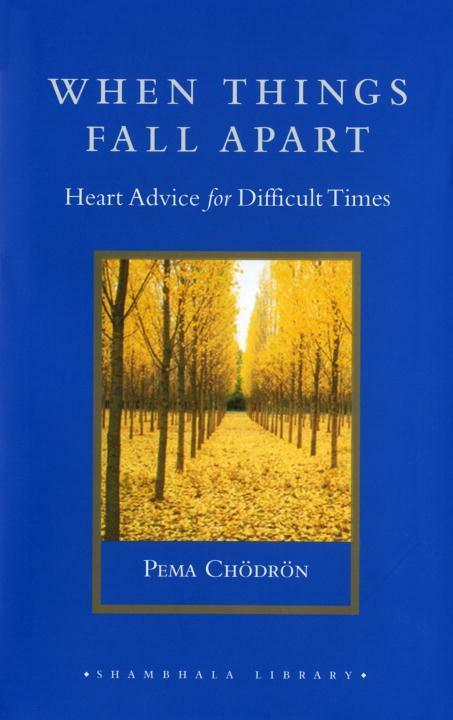 Drawn from traditional Buddhist wisdom, Pema Chödrön's radical and compassionate advice for what to do when things fall apart in our lives goes against the grain of our usual habits and expectations. There is only one approach to suffering that is of lasting benefit, Pema teaches, and that approach involves moving toward painful situations with friendliness and curiosity, relaxing into the essential groundlessness of our entire situation. It is there, in the midst of chaos, that we can discover the truth and love that are indestructible. The Shambhala Library is a series of exquisitely designed and produced cloth editions of the world's spiritual and literary classics, both ancient and modern. Perfect for collecting or as gifts, each volume features a sewn binding, decorative endsheets, and a ribbon marker-in a delightful-to-hold 4 x 6 trim size.